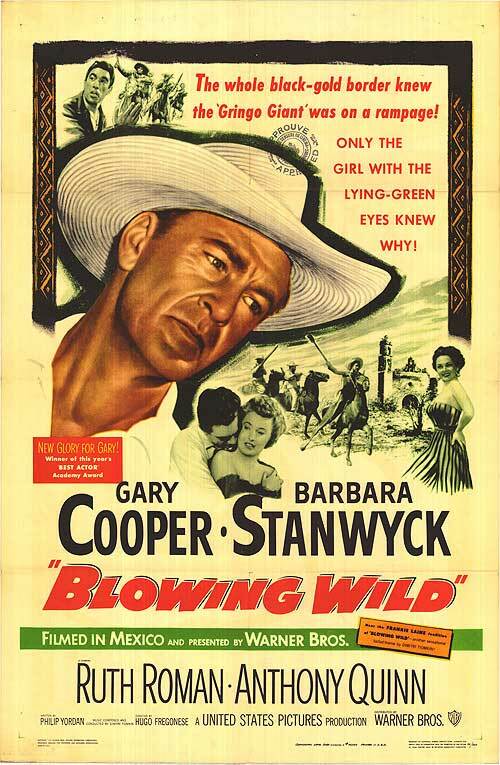 BLOWING WILD is clichéd 1953 action fodder, with a good cast going through their paces competently, but to little avail. 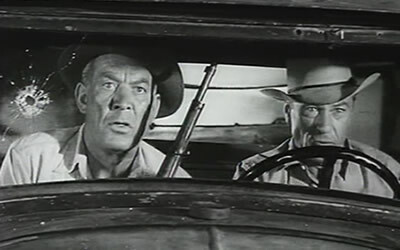 Two wildcat oil prospectors (Gary Cooper & Ward Bond) set up operations with an old pal (Anthony Quinn) in South America. Complicating things are banditos, who ride by every so often and dynamite the rigs. 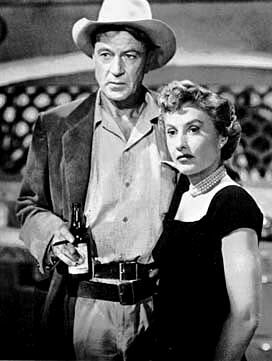 Even more bothersome is the boss’ nymphomaniac wife (Barbara Stanwyck), who has known half the drillers south of Panama, including Cooper. Filmed in Mexico by director Hugo Fregonese, but sans color the scenic values are pretty much wasted. Philip Yordan’s script will remind you of a hundred other flicks, with lines like “Because you’re no good” dropped all over the place. Good action scenes, and Dimitri Tiomkin’s score adds some flavor. Fans of Tiomkin’s music will note some marked similarities between his melodies here and some he would employ six years later in Rio Bravo. It only lasts 90 minutes, and gives roles to Ruth Roman, Ian MacDonald and Juan Garcia. Frankie Laine sings “Blowing Wild” (no comment).